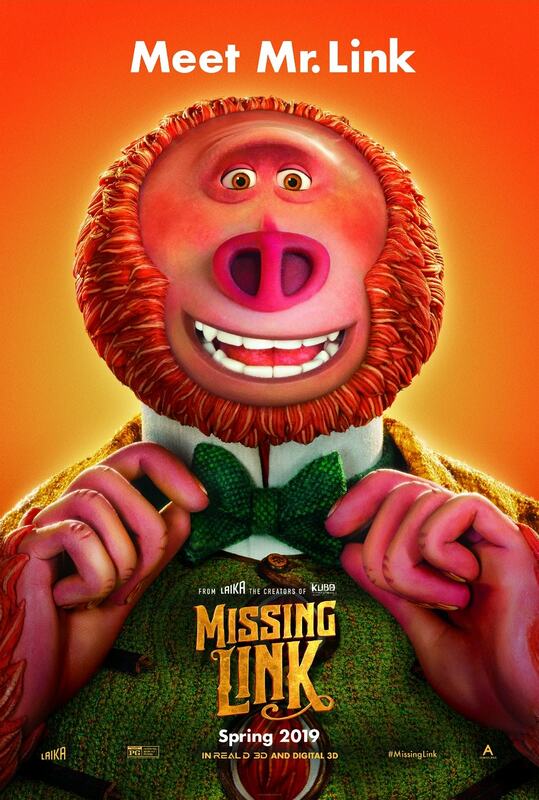 Tomorrow the newest film from LAIKA Studios, Missing Link, releases into theaters! Today I am excited to share my thoughts about the newest stop motion animated film in this spoiler-free review! A couple of weekends ago, I had the opportunity to fly to LA for a Missing Link press event surrounding the newest LAIKA film. We were able to screen the movie, attend the event, and interview some of the cast and crew of the film, Zach Galifianakis, Zoe Saldana, and Director Chris Butler. The press event was filled with a lot of fun and wonderful moments, much like the film itself! Before I get into my feelings about the film here is a short synopsis of Missing Link. To be completely honest, I wasn’t very excited about the film when I first watched the trailer. I wasn’t expecting it to have the heart and entertainment that it ultimately had. The characters in the film were very lovable, flawed, and I genuinely cared about each of them. Mr. Link gives us some great comedic moments, and Adelina is a wonderful, strong female character. Combined with the extremely flawed Sir Lionel Frost, (who is more like me than I want to admit) these cast of characters will make you laugh, cry, and delight you along their journey. This film is a fun adventure film that I remember seeing as I was growing up. It reminds me a bit of an animated Indiana Jones meets Alf kind of movie. It is a refreshing new story that hasn’t been remade with brand new characters. With all the recent remakes and sequels, it is nice to have something that is unique be released. It has a relevant story line to the day and age that we are living in spite of it having a historical period setting. Every time I watch a LAIKA movie I have to stop and tell myself that this film was created using stop-motion animation. The thought that each frame was meticulously hand manipulated is just mind-boggling. I love that craft that LAIKA uses and I hope that they will continue this art form for a very long time. The visuals are amazing, be sure to pay attention and enjoy the elephant scene, how they achieved that in a stop-motion film is absolutely mind boggling. The animators at LAIKA have certainly set a new high-standard with this film. Is Missing Link Scary for Kids? No, is the the short answer. 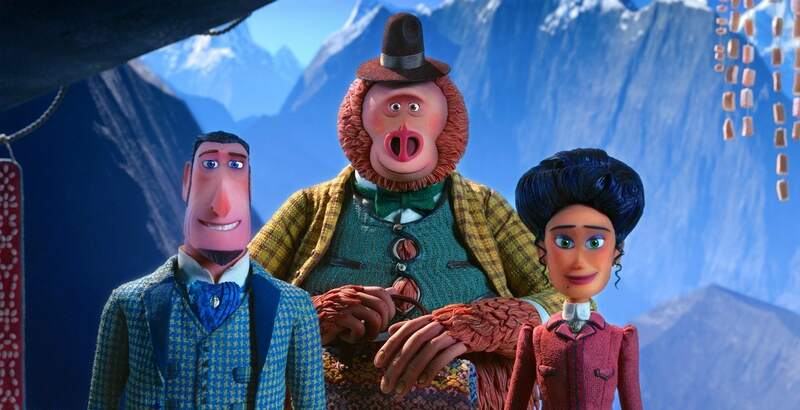 Unlike previous LAIKA films, all the protagonists are adults going on an adult adventure, but that doesn’t mean that It won’t appeal to kids. There is a villain, and ultimately he meets his demise, but it is done in a thoughtful manner that shouldn’t be scary for kids. This is one of the most family-friendly movies I have seen in a long time. The PG rating is accurate as there is some humor that young kids may not quite understand. The visuals will delight children and they will laugh along with Susan’s humor. I know my kids are going to love it. Overall, I would highly recommend this movie for a fun family movie night. I think you will love this group of characters and be entertained as they travel to the Himalayas on their adventure around the world.